We looked at the top 1 Portable Chargers and dug through the reviews from 4 of the most popular review sites including New York Times Wirecutter, Charger Harbor, Android Headlines, Switch Chargers and more. Through this analysis, we've determined the best Portable Charger you should buy. 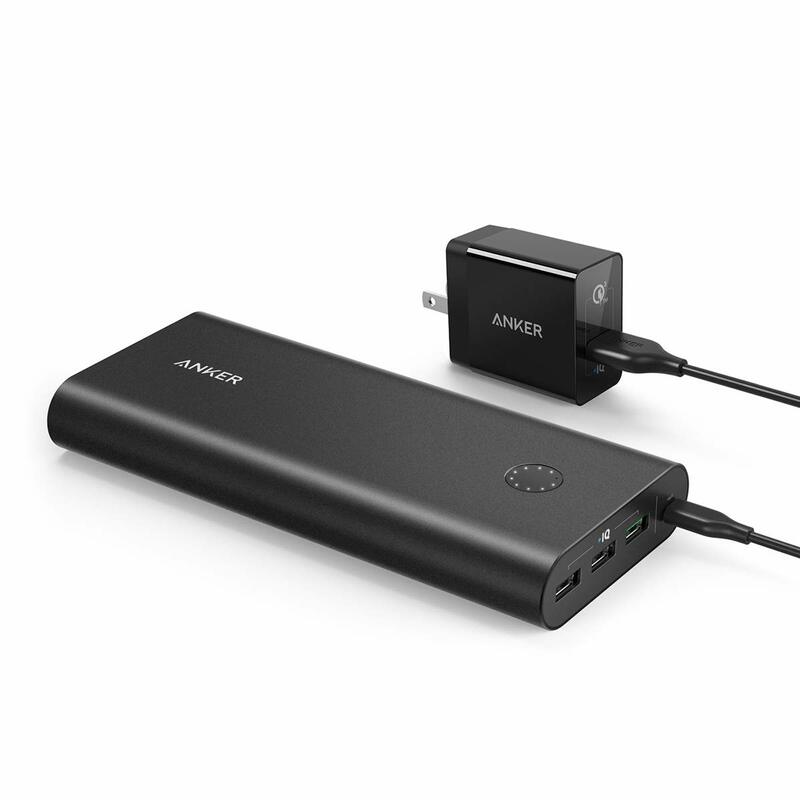 In our analysis of 57 expert reviews, the AUKEY AUKEY Power Delivery Power Bank placed 7th when we looked at the top 9 products in the category. For the full ranking, see below. Checkout AUKEY Power Delivery Power Bank for a detailed review of all the top portable chargers. Despite its mid-range power capacity and small form factor, which we’ll be getting to later, this power banks still manages to use three charging ports. The AUKEY Power Delivery Power Bank caught our attention for a few reasons. Firstly because it does offer up a rather unique form factor, among USB-C PD battery packs. I was quite surprised by its longevity during my capacity testing. I was expecting it to offer less than a full charge for the Switch. If your phone is completely dead, though, you’ll need to unplug and replug it into the battery once it boots in order to get the faster charging speeds. Overall, we find that the power bank is mostly suited for charging smartphones, as charging larger devices such as a tablet or laptop will result in the entire power capacity being used or the entire power capacity not being enough. Doesn’t charge Switch as fast as other USB-C PD power sources. Keep your devices charged on-the-go with this compact 10000mAh power bank. Great feel in the hand or fit in the pocket with your phone. Slimline, lightweight unit; just 15mm / 0.59” thick and 245g / 8.64oz in weight. Fingerprint-resistant, matte black surface framed by a glossy rim with minimalist LED battery level indicator and power button positioned discreetly at one corner. USB Power Delivery is a new, universal multi-voltage charging standard that dynamically negotiates power output over a USB Type-C connection to safely and efficiently recharge a wide range of compatible devices. Fast charge the new iPhone X, iPhone 8, or iPhone 8 Plus up to 50% in just 30 minutes. Or power a Nintendo Switch for 6 more hours of gameplay. Engineered to refuel devices up to four times faster than conventional charging. Powered by INOV (Intelligent Negotiation for Optimum Voltage) Technology for fine-tuned power output and more optimized charging cycles. Up to 38% more efficient than Quick Charge 2.0. Backward-compatible with Quick Charge 2.0/1.0 devices. Charge all USB-powered devices including iPhones, Android phones, tablets, wireless headphones & speakers, and more. All AUKEY products are backed by our 45-Day Money Back Guarantee and 24-Month Product Replacement Warranty.